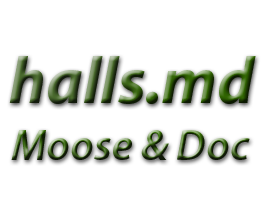 This page is all about the amazing little weight loss percentage calculator, designed by Dr.Halls and Moose. This handy little tool can help you track your weight loss progress and achieve YOUR weight-loss goals. The older you get the harder it is to lose weight this is because, by then, your body and your fat are really good friends. Find out YOUR weight loss percentage HERE! Simply add your start weight and current weight in pounds into the boxes below. If you prefer to use kilos, then click on the black down arrow to the right of ‘lbs‘. After you have added your information, click on the CALCULATE button and the percentage weight loss result will show up in the box saying, Result Below. I don’t think the weight loss percentage calculator works. Well, I put in my start weight and my current weight and it says I’ve gained 4% of my body weight. Whether you are looking to lose 10 pounds or 100 pounds, weight loss should always be done in a healthy fashion. You might desire to lose weight as fast as possible, this can actually be quite unhealthy for your body. In order to successfully lose weight and maintain that weight loss it is essential that you keep track of the overall amount that you have lost and also check your progress on a weekly basis. This post will help you to do just that. Why do fish always know how much they weigh? Because they have scales. How much weight a week should I be losing? The American Heart Association advises that no more than 1 to 2 pounds (0.45 to 0.9 Kg) of weight should be lost in a week. Losing more than this may increase your risk of metabolic disorders such as diabetes and glucose intolerance leading to an increased risk for heart disease and stroke. Rapid weight loss can promote unhealthy eating patterns as well as leaving you feeling fatigued due to an inadequate daily caloric intake. In addition, losing weight too rapidly increases your risk of gaining back unwanted weight even faster. One medical study investigated weight gain after dieting and suggests that around 95 % of dieters who lose weight, regain it all again (and sometimes more) within one to five years. I’m in shape, unfortunately it’s the wrong one. Well Hector. Here’s the place to start. Let’s get weighing, photographing and measuring you. I try to avoid things that make me fat … like scales, tapes and photos. Why is the weight loss percentage calculator so useful? Research conducted by Rena Wing suggests that keeping track of your weight is a successful technique towards shedding those unwanted pounds. The key to weight loss tracking, however, is to use the information revealed to quickly make adjustments to any fluctuations in weight or body size. Weighing yourself, although useful in monitoring progress, does not always show the whole picture. If you have incorporated some weight lifting or strength training into your weight loss efforts, than the amount of muscle and tone of your body may be just as important, if not more so, than the figures on the weighing scales. Resistance or strength training has been shown in several scientific studies to increase your basal metabolic rate and aid fat loss from the body. Why are donuts like destiny? Because they too shape our ends. Hey Moose, did you know that one of the best sellers is cookbooks. … and the second biggest seller is diet books ~ how not to eat what you’ve just learnt to cook. By traditional weighing scales: Keep count of the amount of pounds or kilos lost and calculate your weight; use a simple calculator to convert from pounds to kilos. Use a weight loss percentage calculator: Calculate the percentage of weight that you lose. This can be a very useful tool in your weight loss efforts and allows you to see the overall picture by comparing your current weight with your original weight. This may help in setting weight loss goals and boost your motivation too. Measure your weight loss in inches. Get a simple tape measure and write down the measurements of your waist, thighs, chest, biceps, shoulders and hips before, during and after your weight loss plan. In addition to this, take before and after photographs of yourself including a front, back and side view. Body composition: Get an appointment with a nutritionist and have your body fat percentage calculated before and after your weight loss efforts. This can be done using a body fat calculator. I really don’t like the word ‘track’ it reminds me of running and sweating. I just ran my first marathon this morning. Wow! That’s really impressive Moose. Only kidding … I’m on my third cup cake! TV shows such as ‘The Biggest Loser’ have promoted weight loss in competition form. The weight loss percentage calculator is used as well as weight loss in pounds. The logic behind this is that the contestants who weigh the most to begin with are more likely to lose a larger amount of pounds per week. This, in part is because the more you weigh the higher the number of calories you burn when you exercise. Hence, the heavier people are expected to lose more weight quicker than the lighter competitors. By using the weight loss percentage calculators, it develops a balanced platform amongst all the participants by analyzing weight loss in percentage form. I know I’m fat because I find myself fantasizing about having the shape of the guy in the ‘before’ photo. How do I calculate percentage weight loss? As you know if you’re reading this, sticking to your weight loss program and tracking your progress can be difficult. Finding out what percentage of body weight you have lost can really help in your weight loss effort alongside setting your goal weight. A scientific review of medical literature between 1993 and 2003 on the benefits of self monitoring in relation to weight loss, concluded that there was ample evidence to demonstrate that self-monitoring is significantly linked with successful weight loss. Oh No! I’ve seen the words percentage and formula. We don’t have to do maths … do we? 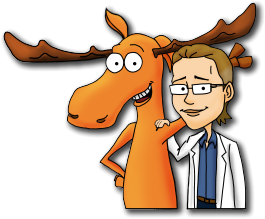 No Moose, you can work out your percentage of weight loss with my very own calculator. Just scroll down a bit … it’s coming. The formula for the weight loss percentage calculator is very simple, even for those of us who are mathematically challenged. If you want to work out your percentage weight loss manually here are the sums. Percentage weight loss is calculated by taking away (in pounds) your present weight from your starting weight. Next, multiply the result by 100. Now divide this figure by the starting weight and you have your percentage. For instance, if your starting body weight was 200 pounds and your present weight is 180 pounds, subtract 180 from 200. This gives you the total amount of pounds lost, which in this case is 20 pounds. Multiply by 100 which is 2000. Next divide this figure by the starting weight, 2000 divided by 200 which is 10 and that is your answer, in this example, 10% of body weight has been lost. Arithmetic is fun. Think of a number. Double it. Add six. Half it. Take away the number you started with. Your answer is three. If you tend to be overweight or obese, even a small reduction in weight can be very constructive. According to the Centers for Disease Control, just a 5 % to 10 % reduction in weight can have a definite result on your health. So do not give up if you are making slow progress. Other health benefits to even a small reduction in weight include lower cholesterol, blood pressure and blood glucose levels. When you use the weight loss percentage calculator, they calculate it for you. This gives you an accurate percentage that you can use to track your progress all the time. We have one hundred highly trained gerbils. Although you should definitely continue using this weight loss percentage calculator all the time, there is another amazing tool that you can consider using as well! The Body Mass Index (BMI) Calculators , will give you information about your weight and height. It can also be used to indicate if you are overweight, obese, underweight, or normal. Having a good idea of your body mass index (bmi) and your percentage weight loss can help with your personal weight-loss program. Another interesting statistic to look at is the waist-to-height ratio. How to lose weight: Turn your head to the left, turn your head to the right. Repeat this exercise whenever offered food. What about for the seriously Obese? The bad news seems to be that once a person becomes obese the chances of them returning to a normal weight are quite low. However, the more weight gained the lower the chances of ever returning to, or maintaining a normal weight long term. For a morbidly obese woman (BMI over 40) the chance of returning to a healthy weight is 1 in 677 chance. and a 10% success rate for women. That is quite shocking – so the more weight you gain the less chance you have of losing it or maintaining the loss long term? Latest research does seem to be confirming this theory, yes. So, what is the answer Doc? A whole rethink of the worldwide obesity situation, food industry and education starting with prevention. However, for the seriously obese losing just 5% – 10% of the body weight may not be effective in warding off the long term health problems associated with obesity. Combined with the slim chances of returning to a normal body weight the National Institute of Health has supported weight loss surgery as a possible solution for long term results. Surgery for weight loss may be something to seriously consider if you have a BMI over 40 or a BMI over 30 with any related health conditions such as diabetes, high blood pressure, sleep apnea or high cholesterol levels. Welcome to the Weight Loss Forum: To lose one pound, double click your mouse six million times. I want to lose weight but have no idea what my ideal weight should be. How do I find out how much I have to lose? As mentioned above, the Body Mass Index (BMI) is a well known tool that divides your weight in kgs by the square of your height in metres. The BMI is useful to find out if you are a healthy weight for your height. Another handy way of finding out what your ideal weight should be is to use Dr. Halls very own Ideal Weight Calculator that shows you other people’s ideal weight who are the same age, height, weight and gender as you. The recommended amount of calories from the UK’s National Health Service (NHS) is around 2,500 (10,460 Kj) for an average adult male and 2,000 (8,368 Kj) for a female. There is a nice, quick and easy calorie calculator which will work out how many calories you need per day to maintain your weight. You then take the number of calories, add a little exercise and reduce or alter what you eat and … Voila! … you will make progress with your weight loss. Calories don’t count at the weekends … do they? I have lost weight many times in the past and regained it again. I am now looking for a long-term weight loss plan. Do you have any advice? To lose pounds and keep them off you need a combination of a healthy eating plan and a fitness plan. The key to long-term weight loss is slow and steady. Research has shown that fast weight loss is not maintained in the long term. Monitoring your daily caloric intake together with keeping a track of your weight loss can be useful tools towards a lean body. As mentioned above, to track weight loss firstly establish your ideal weight and then make use of the weight loss percentage calculator and a body fat percentage calculator. Make sure that you set realistic and achievable weight loss goals in the first place. Other methods that have been scientifically proven to REALLY help with achieving long-term weight loss are joining support groups such as Weight Watchers or the biggest loser club. Lose Belly Fat Now: Moose and Doc have reviewed all the latest research and come up with a 10-step plan that is easy to follow and scientifically proven. 6 Reasons Why Weight Loss is NOT Working Discover the science behind why, despite your best efforts, you are still struggling to lose weight and what to do. Easy Ways to FAST weight loss – 6 Top Tips Take these small steps to boost your weight loss efforts. Scientifically proven methods to lose weight fast. Quick Weight Loss Pills and Supplements: The Truth Do ‘Miracle Drugs’ and supplements really work? Know the facts before investing in any of these products. Weight Watchers: Everything you need to know Discover why the Weight Watchers Slimming club is stilling going strong today and boasts some impressive weight loss results. I am in shape … It’s just unfortunate that shape is a potato.